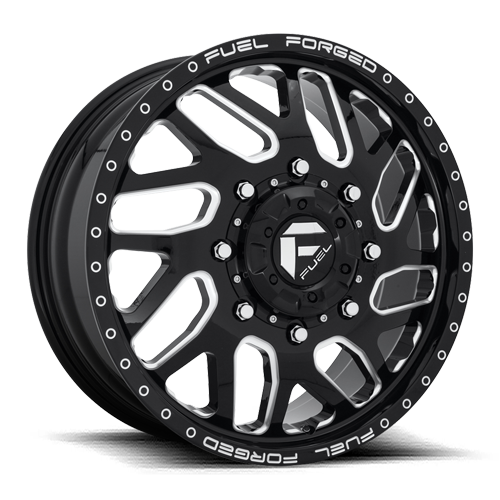 FF29D - Front - MHT Wheels Inc.
Fuel Dually wheels do not need adaptors and are available for stock and lifted applications. 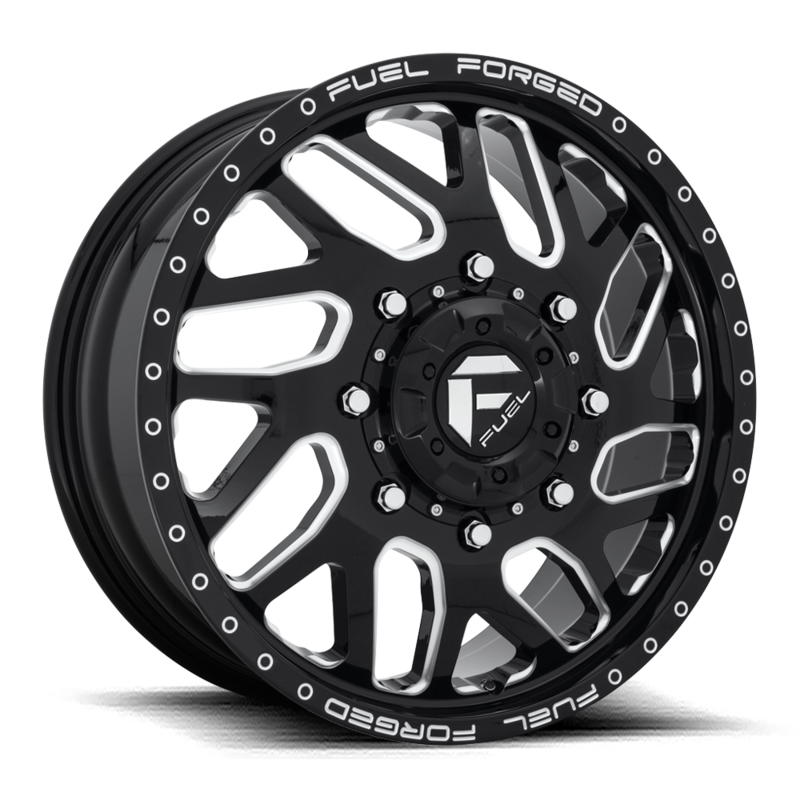 20" and 22" have 3 rear outer wheels available with offsets for street, mid level lift kit, and large lift kits with wider M/T Tires. 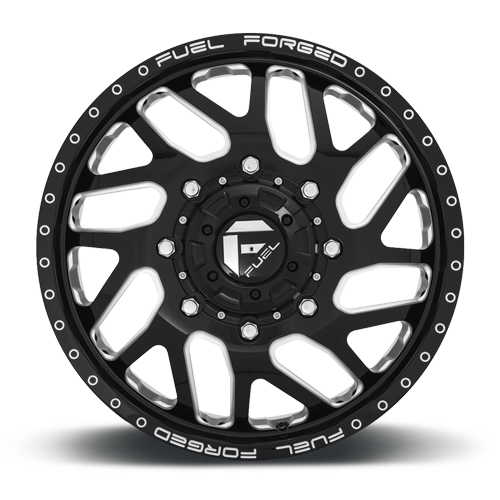 Street - 2.5” spacing for street and A/T tires as wide as 275 mm Lifted - 3.5” spacing for street and A/T tires 285 - 325 mm wide and 12.50” wide M/T tires. 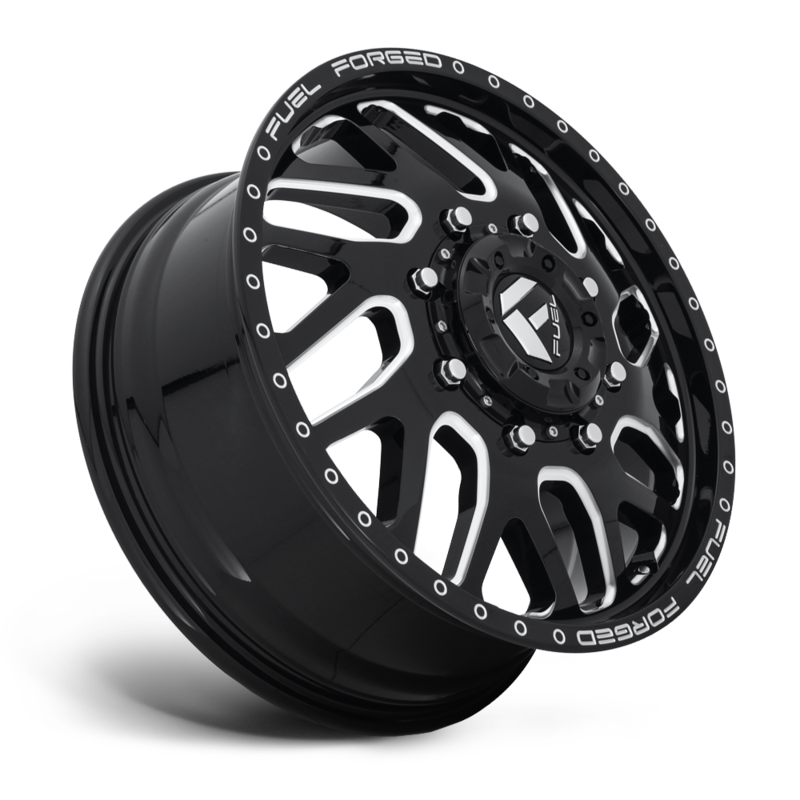 Extreme - 4.5” spacing for 13.50” wide M/T tires. 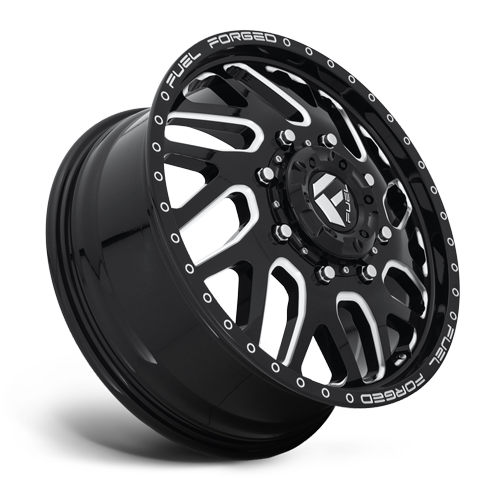 Sizes: 20x8.25, 22x8.25, 24x8.25, 28x8.25 20x8.25, 22x8.25 and 24x8.25 available in Ford 10 lug applications. 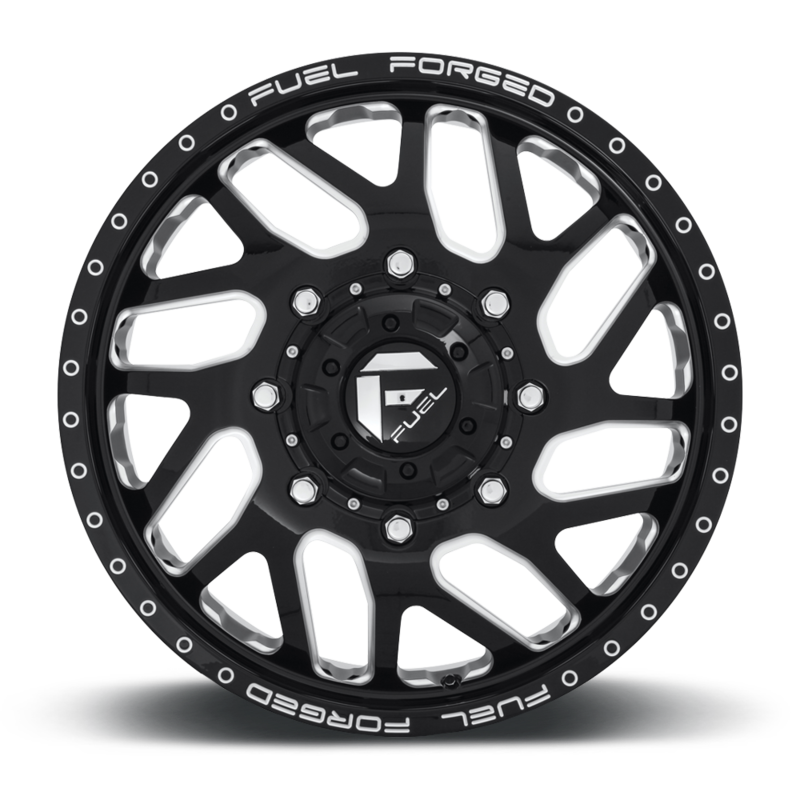 Simulated 10 lug caps available on 28x8.25. Standard FF forgings with a lip available for front wheels.